What is Tout le monde UX? 20 Aug. 2018 Reading from 3 minutes. 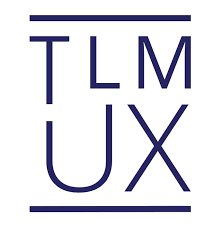 Tout le monde UX, abbreviated TLM UX, is the meeting UX (User Expericence – User Experience) of the Montreal scene. 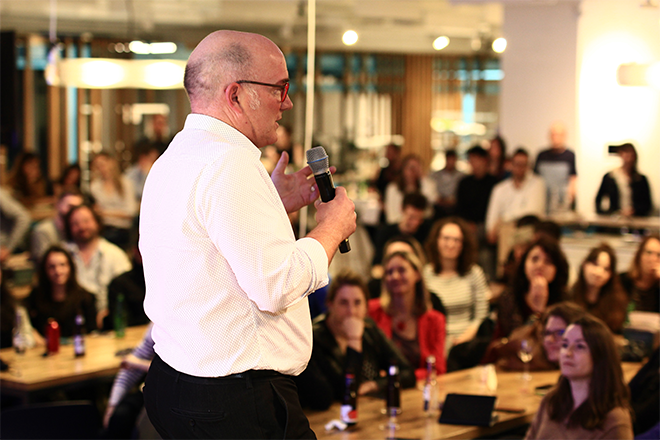 Offering conferences on the subject every 2 months, TLM UX organizes meetings between enthusiasts, professionals or just curious people about the field of User Experience. Having as partners the big names of Montreal agencies like (Valtech, Havas, Sid Lee, Tink or Kryzalid) these events are an opportunity to keep abreast of new UX, get feedback or simply discover new, exciting and inexhaustible speakers on the user experience. Patrick Bracquart, designer at Savoir-faire Linux attended this edition dedicated to the customer experience and shares his feedback and impressions. This 33rd edition, held by Daniel Lafrenière, tackled the theme of CX and the frustrations that a user could feel, whether it is about a place, a service or even during an act of sales. First of all, what is CX? The CX, or Customer Experience, is the set of interactions that a user will have regarding a brand, a sign or a company. Closely linked to emotional design, the CX’s challenge is to generate a relationship between a brand and its consumers through positive experiences with the brand. What makes it different than UX? CX and UX are different, but complementary. Where the CX will rather be at the level of the influence of the brand and the attachment of the customer, the UX is more between a digital interface and its user. Thus, the UX is more about the product, whilst the CX about the brand. In a comprehensive, user-centric approach, UX and CX together make for greater efficiency. Key points of the 33rd edition of TLMUX? Daniel Lafrenière, speaker of this edition, introduced us to the CX in its little-known aspect: that of the frustration due to the wait and due to time loss. Complicated procedures, inefficient systems, incompetence, … all these faults waste valuable user time and destroy the CX. 1. Meeting obstacles in a buying process. 6. Anxiety (what happens if I click on this button, message not clear). After a short break, Daniel shared his impressions with us at the SXSW 2018. The SXSW is well-known for its conferences and festivals on interactive industries, film and music. As a CX specialist he has been interested in experimental storytelling, brand marketing and artificial intelligence. He told us about the importance of AI and its place in harvesting and analyzing data for UX designers. A final point focused on the move from “mobile first” to “mobile only” as a new path for the coming years. 17 Oct. 2018 Reading from 2 minutes. DebConf18: Talking about Ring in Taiwan! 14 Aug. 2018 Reading from 2 minutes. 31 Oct. 2017 Reading from 5 minutes. 24 Aug. 2017 Reading from 5 minutes. 23 May. 2017 Reading from 4 minutes. Savoir-faire Linux is an exceptional team of more than 120 free software experts based in Montreal, Quebec City, Paris and Rennes who respond efficiently and ingenuously to the constant evolution of information systems. Original contents of this page are available under the terms of the Creative Commons Attribution 4.0 International License commons attribution 4.0 international.